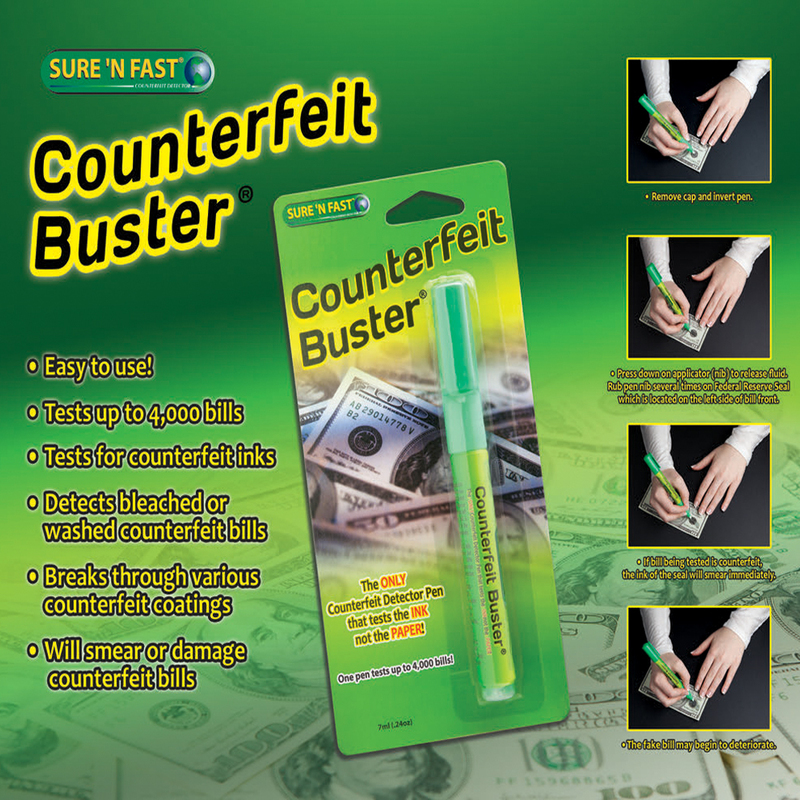 The new and improved counterfeit detector marker has a success rate of nearly 99% on counterfeit bills in circulation today including the Euro, Canada and Mexican dollars. 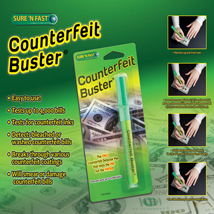 The only counterfeit detector marker that detects the ink. The marker will not dry out even if you lose the cap and it is non-toxic.Tests up to 4,000 bills. No cleaning of applicator needed. Works on bleached bills, bills printed on alternative papers, and many forms of coated bills.